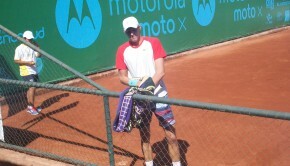 Nicolás Jarry reached the third round at the Australian Open doubles. After an early exit in the Singles event, Nicolás Jarry, teaming up with Argentina’s Máximo González, have caused a surprise in the Australian Open doubles, beating top seeds Oliver Marach and Mate Pavić. The South Americans only needed two sets two advance, winning both sets 6-4 after breaking early. It will be a particular confidence booster for Chile’s Davis Cup hopes, with the next clash for Nicolás Massú’s charges up against Austria. Adding to the boost of confidence will be Jarry’s win over Dominic Thiem in Germany last year. 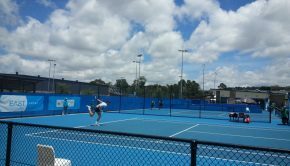 The duo opened their campaign with a win over locals Luke Saville and Max Purcell in three sets before their surprise victory over the Austrians. 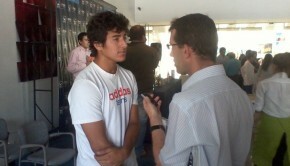 The next opponent will be Leonardo Mayer and João Sousa. Jarry will be hoping to get one up of Mayer, with the Argentinian knocking him out of the Australian Open in the first round two years in a row. Chile will play Austria in Salzburg for their Davis Cup clash on February 1 and 2. Chile have never been defeated by Austria in their three ties, but the hosts will go in as favourites.